and amazing weather: enjoy some of the most beautiful islands on earth. We take you to the Caribbean that is hidden from you on a normal beach hotel holiday! Explore bays and coves that tourists cannot reach; the forest-clad mountains of St Lucia; the exclusive glamour of Mustique; the film location for Pirates of the Caribbean in the Tobago Cays; and the excitement of trade-wind sailing around the idyllic Grenadine islands. Feel the warm wind fill the sails, swim with turtles, snorkel the reefs, watch the sun set from a beach bar – every day! Your dreams become your memories. Come as a couple, individual or group of friends and family and experience this adventure. Sailing holidays used to be only for big groups: not any more! Meet discerning, like-minded people in the safe, comfortable environment of your luxury yacht on a shared or private charter. Make new friends while discovering wonderful new places together. Discover the Caribbean that cruise ships and package tours cannot reach, a tropical paradise of deserted beaches, lush islands and refreshing seas. The moment you step aboard, the rhythm of the islands takes over. Days are marked by sunrises and sunsets: how much or how little happens in between is completely up to you! There’s something wonderfully hypnotic about sitting on deck and watching the landscape drift slowly by. It’s one of the best things about travelling by boat. There’s also no hassle of packing and re-packing. Our itineraries allow you to explore new places every day: dots on a map that often can’t be seen any other way! There’s always the kick of waking up in your cabin and wondering what new heart-stopping views await you today! Delight in the journey and in every detail along the way. With Escape Yachting, you’ll experience all-inclusive personalised service at every turn. New experiences are accompanied by warm smiles and prompt attention. Never in the way yet never out of reach, our gracious award-winning service makes your sailing holiday remarkable in every way! It’s all about the little touches with Escape. 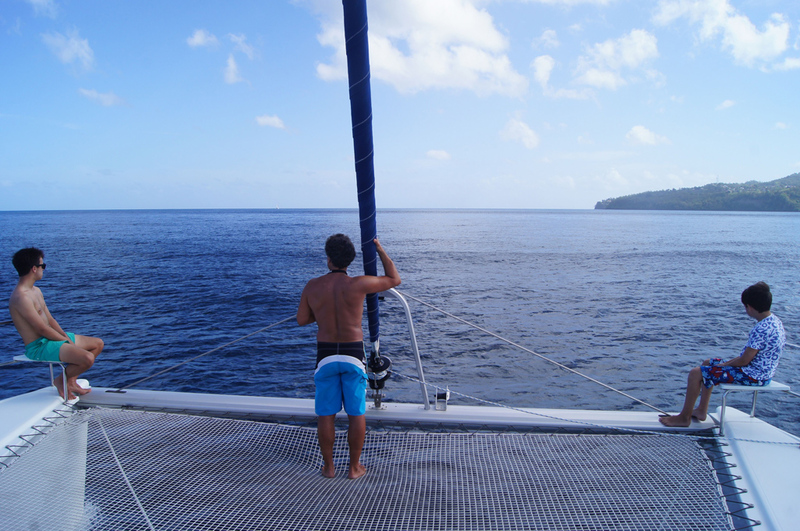 Your friendly crew, including a qualified professional skipper, have years of experience and useful local knowledge from sailing in the Caribbean and act as your guide, steward and chef. Who wants to be doing the cooking and washing up while they’re on holiday? You’ve earned the right to relax and spend time with each other, enjoying yourself while we take care of all that for you. Escape to the sun with family and friends! 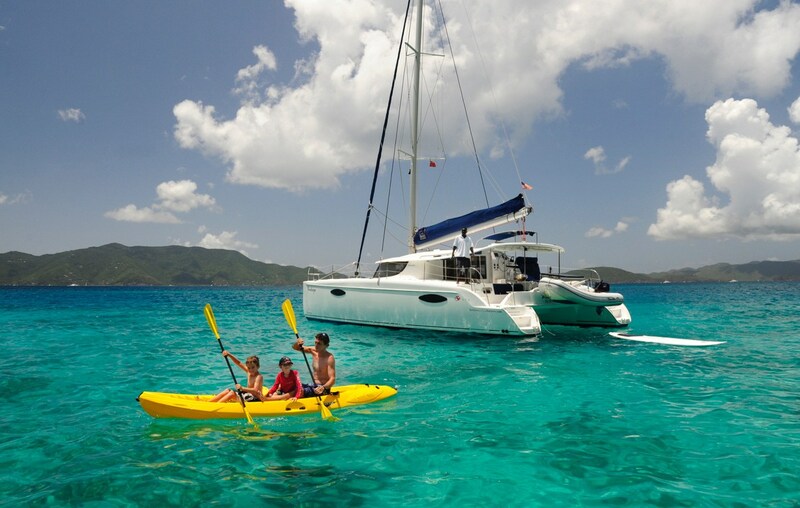 Whilst we love sailing in England, we also enjoy discovering sunnier climes by yacht, especially in the winter! Escape Yachting have sailing with guests around the Ionian Islands in Greece, on an adventurous expedition in Desolation Sound and around Vancouver Island in Canada, exploring the Dalmatian coastline of Croatia, and sailing the tropical waters of South East Asia as well as returning to the glamorous Caribbean every winter. Our full-service approach extends to all the fiddly arrangements of international sailing. We take care of everything for you, so all you have to do is sit back and enjoy your holiday. Contact us today and let us help you organise your Caribbean holiday.